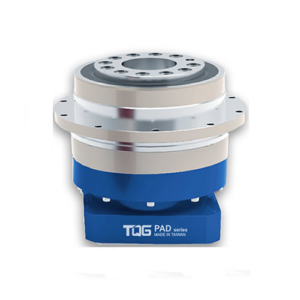 The rotating disk surface can directly lock the working objects, and therefore improve the convenience of the workpiece transfer. Feartured with a hollow design, the rotating platform is convenient for wiring or piping. 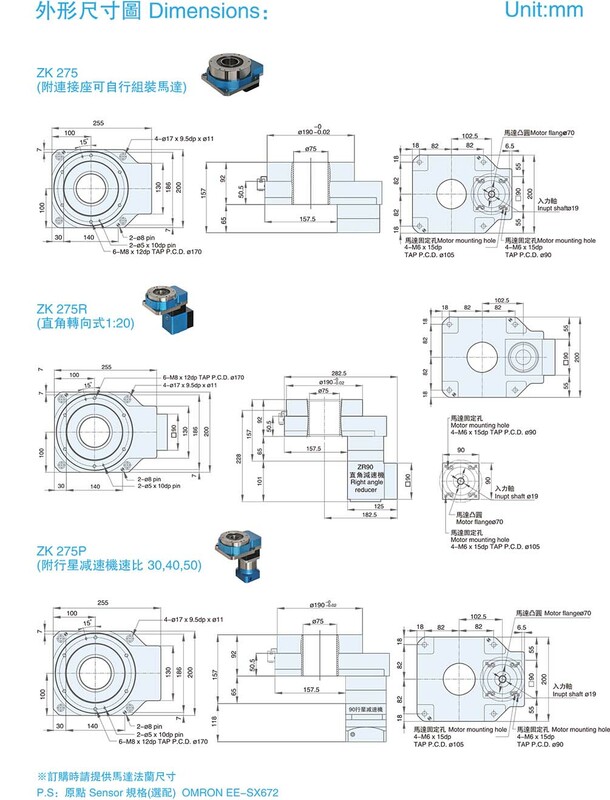 ZK series hollow rotary actuator is a new type of rotating load device which belongs to the planetary servo speed reducer. 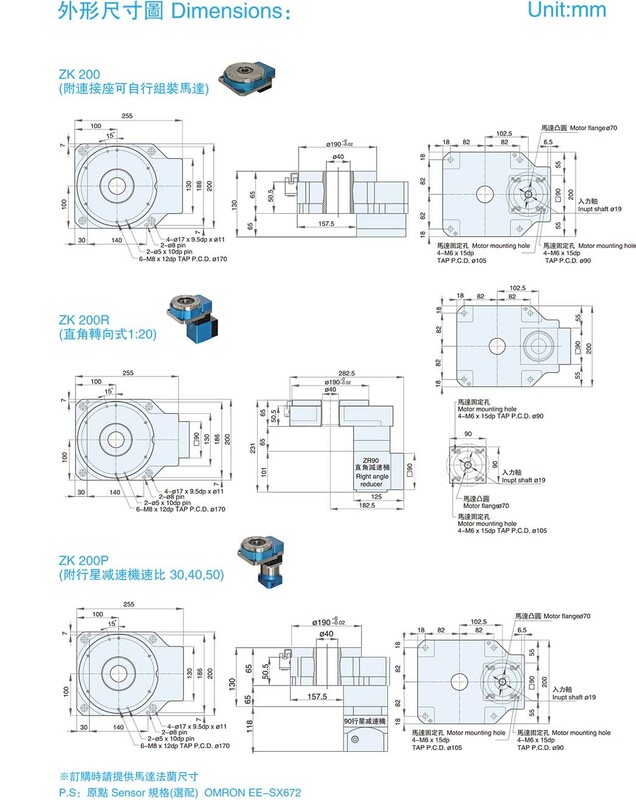 The use of high-rigid cross-roller angular roller bearings and rotary platform surface integration design, can withstand the large inertia of the disk device, the entire group with stepper motor and driver. 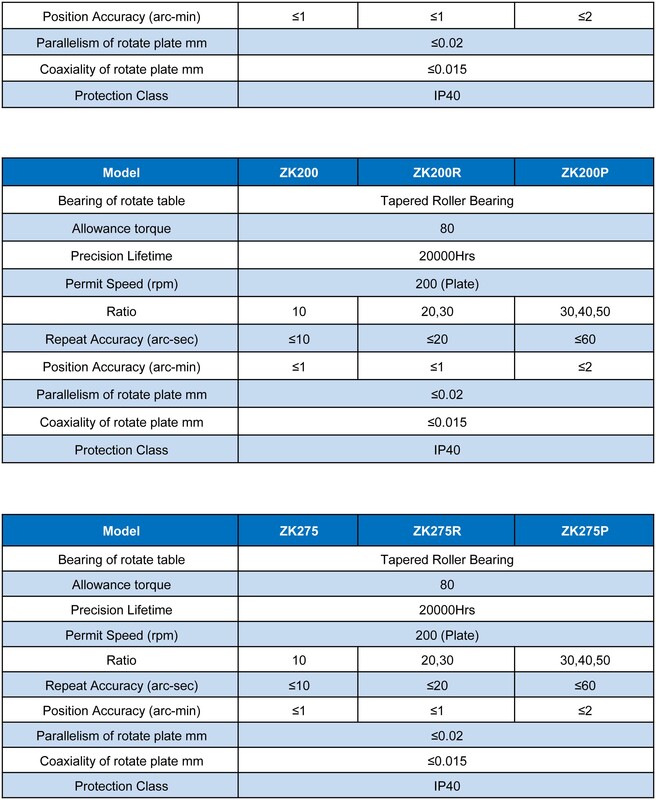 Zk hollow rotary table combines features of high transmission efficiency, high precision, high rigidity, and high cost performance. 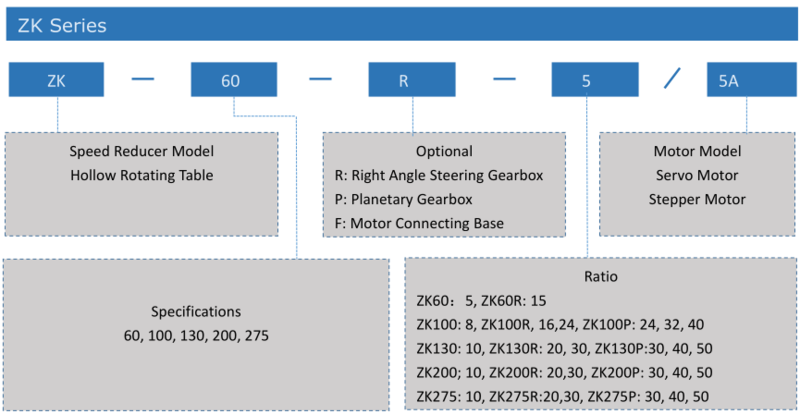 What’s more, ZK reducer integrated the advantages of servo motors, cam dividers and direct drive motors. Straight lines motions and circular motions are two kinds of mechanical movements. 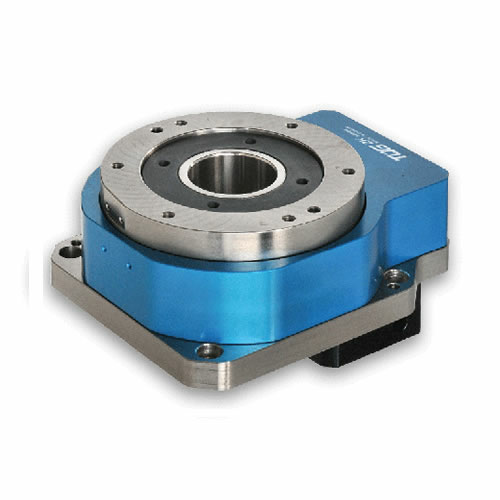 Linear motion are mainly based on various types of slides, while circular motions are the most representative motion of cam indexers. 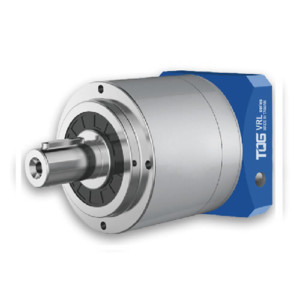 And due to the maturity of technology and the accuracy requirement of equipment, D.D motor is becoming more and more popular. However, the traditional splitter has been unable to meet the needs of any segmentation. 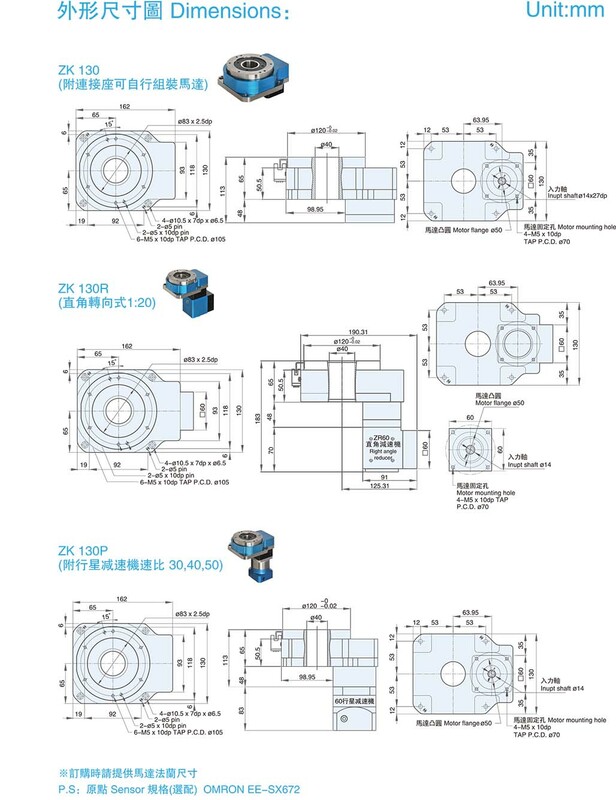 Though D. D Motor can be applied in multiple ways and with high precision, its high price is the main factors that make user reconsider. 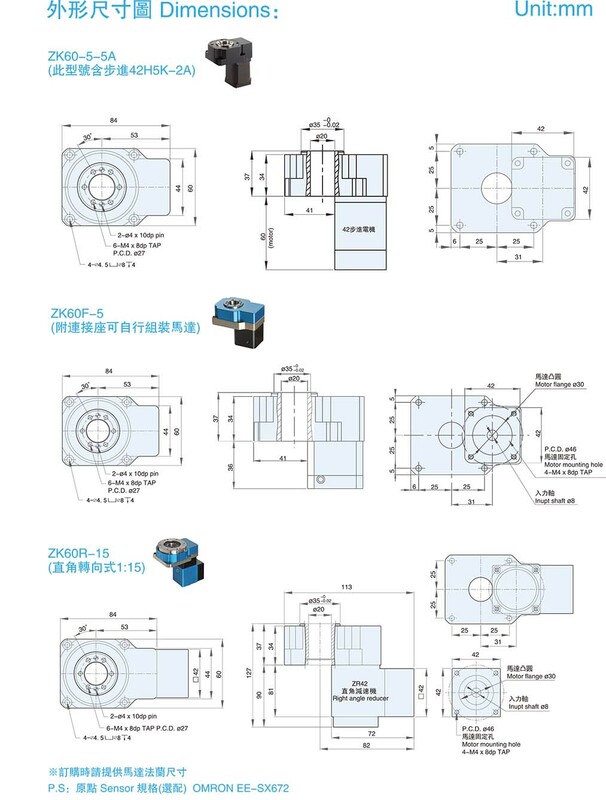 ZK series hollow rotating table has successfully got a balance between the cam indexers and D.D motor. 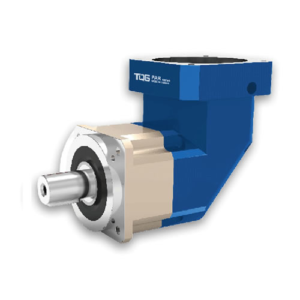 It fills the functional requirements that not only can greatly reduce the cost of D.D Motor, but also can meet the high-precision and digital control that the cam divider can’t provide. Ultra-precision machined gears are used in the speed reduction mechanism to eliminate the backlash through its own adjustment mechanism, thus there will be no backlash in the part of mechanism. 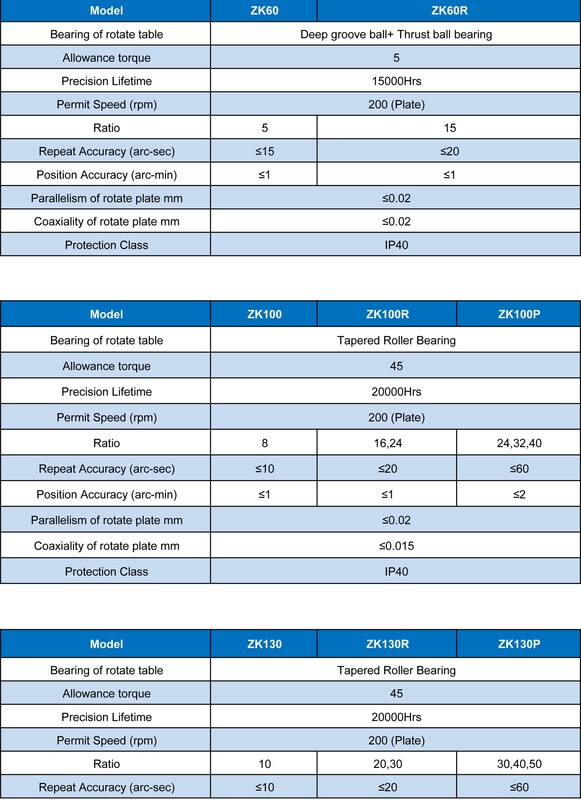 As repeated positioning accuracy is ±15 sec in one direction and idling precision is 2 min in two directions, positioning with high accuracy is possible. The worktable and robot arm of the equipment can be installed directly on the hollow output platform. When the general equipment positions and operates by means of pulleys and other mechanical parts. It is mostly affected by the transmission efficiency of the mechanical parts and therefore the accuracy is reduced, or there is a need to maintain the parts of the mechanism. 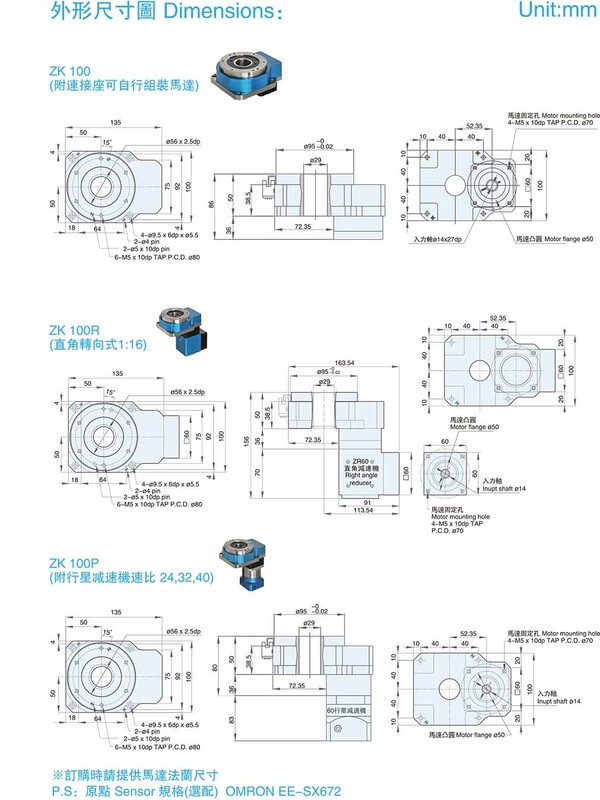 While the ZK series hollow rotary actuators can be installed directly without intermediate parts. 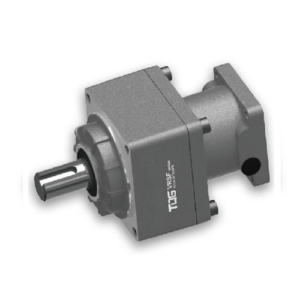 Therefore, in addition to the direct use of the accuracy of the actuator itself, maintenance can be avoided.